Project BriefThe branding should express a solid and rugged solution with an industrial look and feel. The website needs to be simple, ready for a future blog implementation, and clearly describe the company, product, and functionality in order to attract strategic partners and potential investors. 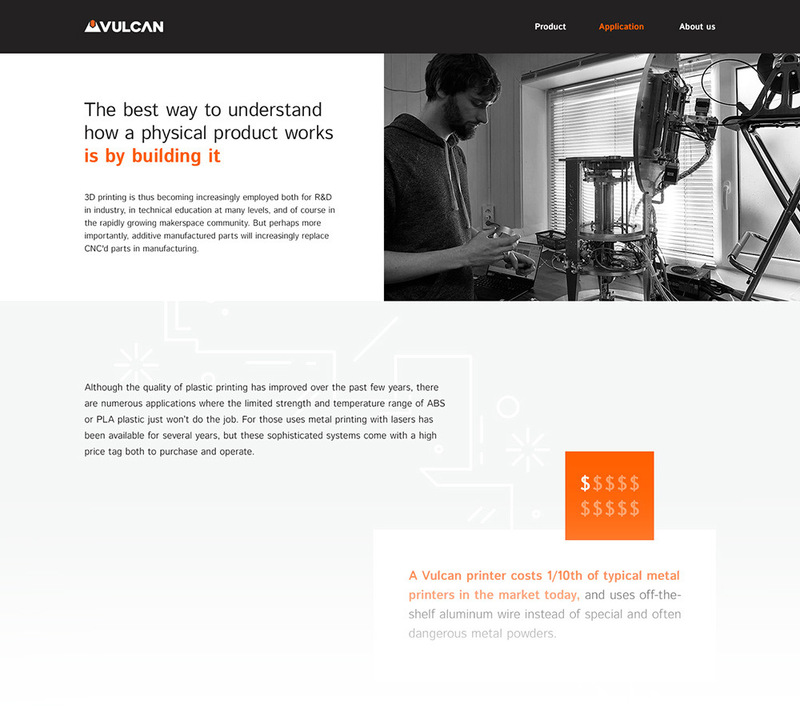 We've created an industrial, clean and stylish identity for the inventors of the first aluminium 3D printer. No lasers, no special powders, no hazards. 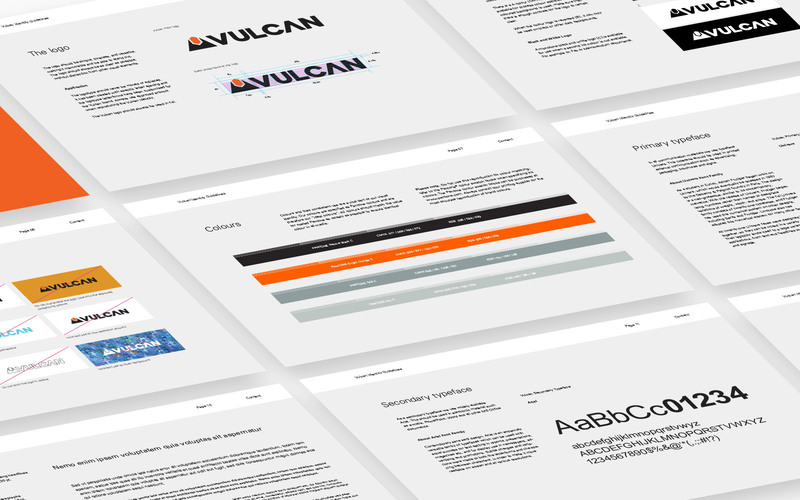 During the logo design process, we've come with different concepts and variations. The client has found his favorite right in the first bundle of logos we've presented. Complete overview of the identity guidelines. 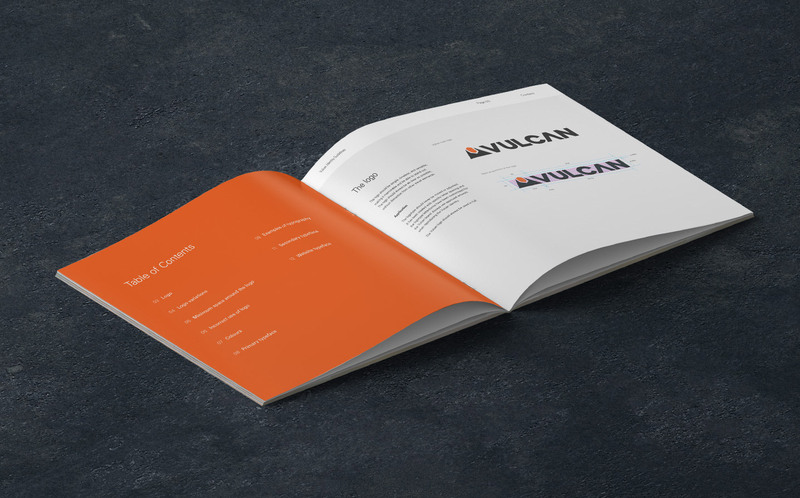 We've delivered a complete identity guidelines book with the necessary instructions and use cases in order to maintain and communicate a consistent brand experience. 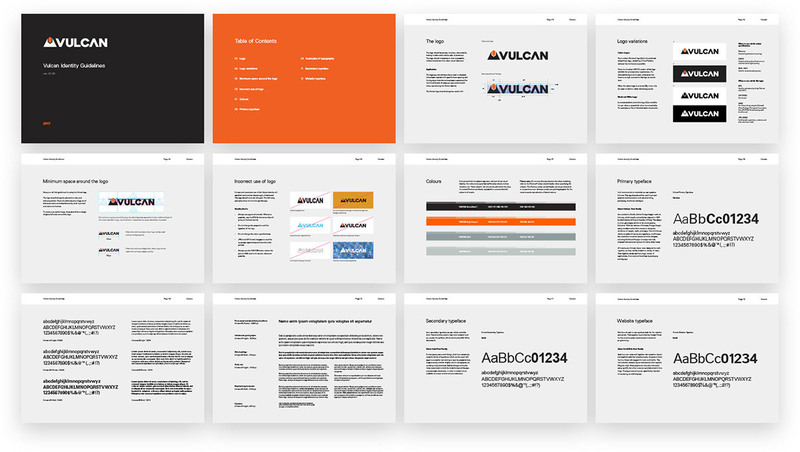 Wireframes of the marketing website. 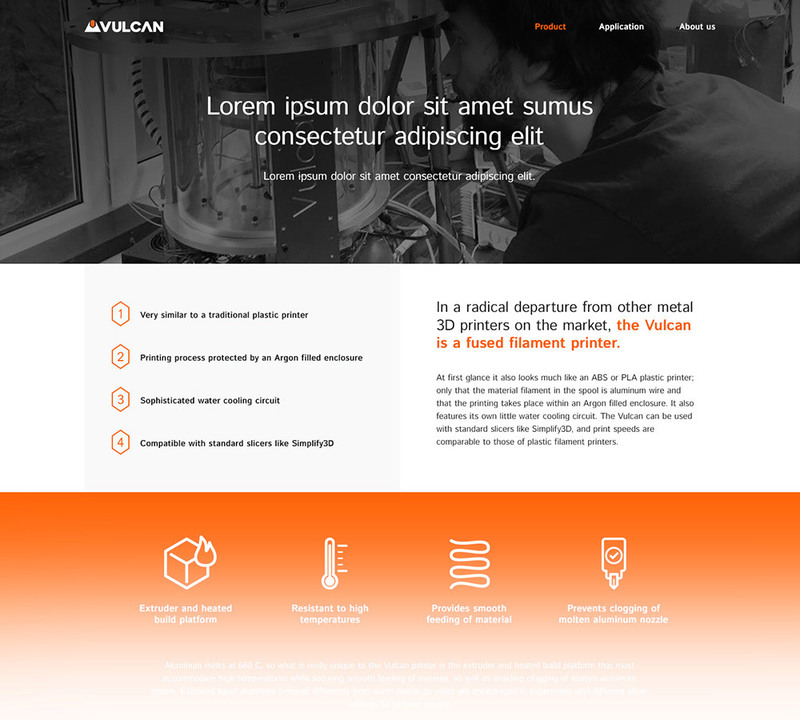 Vulcan's final marketing website designs. 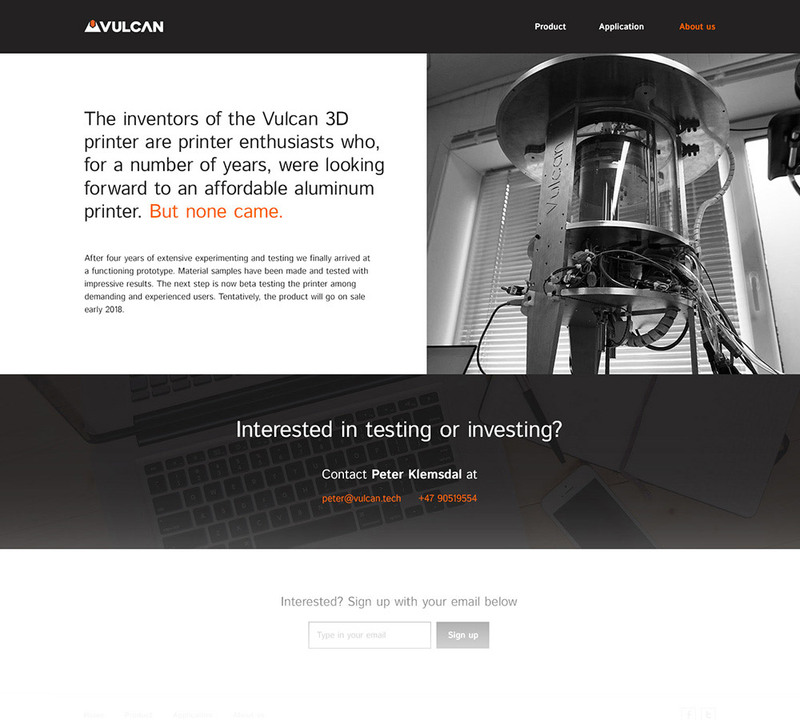 Vulcan is an early stage 3D printer company, and we wanted to develop a brand identity and website before launching our product. Dezea showed a great understanding of our needs, and developed an industrial, clean, and stylish design. The results were beyond our expectations. We would not hesitate to use their design services again!